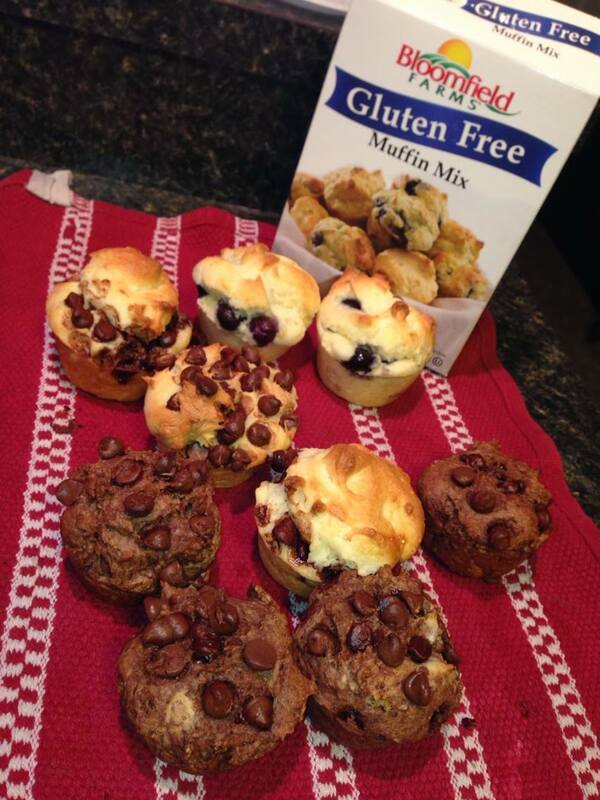 Gluten Free Can Be Amazing! A little over two years ago, my family made a decision to eat a gluten-free diet. Our daughter was diagnosed with Hashimoto’s Thyroiditis and was having an extremely difficult time adjusting to the medications. After a lot of research, it seemed worth a try to assist her in healing by adjusting her diet. This included eliminating several foods, one of which, is wheat gluten. It may seem like an easy task to accomplish but we discovered it is so much more difficult then one can imagine. Wheat gluten is an additive in so many everyday foods that you may purchase in the grocery store or at a restaurant. Even simple items like french fries, soy sauce, breakfast cereals contain wheat gluten. So, the mission before us was two-fold, we had to check labels and ingredients on everything purchased and we had to find workable alternatives to use in recipes for cooking and baking. Checking ingredient lists and menu options in restaurants is a never ending task. The safest way to eat in restaurants is to select green salad options and grilled meats. The home baking and cooking, however, became very challenging quickly. There are quite a few packaged options for breads, cookies, cake, pancakes, biscuits, cereal, muffins, and pizza crust on the market shelves. The problem with many of those items for us was that they tasted very bland, dry, gritty and just plain awful!!! They are also pricey and the packages contain less amount of product. I was a bit vocal about my frustration and a local friend sent me an email about Bloomfield Farms. (which I made into a strawberry poke cake…where you poke holes in the baked cake and pour in jello). All of these baked goods were very good and you could not tell they were gluten free. This made me very curious about other Bloomfield Farms offerings. A quick visit to their website and I discovered many gluten free products. I could not wait to place an order and try out more products. On my first order, I purchased a muffin mix, pizza crust, bread mix and pancake and waffle mix. Pictured above is the Muffin Mix. First of all, the mix will make one dozen muffins. That is twice as many as any other mix I have tried. The mix comes plain and we wanted to test out a variety, so I added frozen blueberries, peanut butter and chocolate chips, chocolate chips, and finally cocoa and chocolate chips. I also added a little applesauce to the ones I added cocoa powder to. This was to add moisture and some needed sweetness. Each and every flavor is wonderful! My favorite is the blueberry and my daughter’s favorite is the peanut butter chocolate chip. If you are already gluten free or just want to try out gluten free, go to http://www.thebloomfieldfarms.com and place your order. You can probably find the All Purpose Baking Mix and possibly the Brownie Mix in your local Kroger. I have requested to have more Bloomfield Farms items in my local store but for now, I have to order online. We are looking forward to trying out the other three mixes and I will certainly be letting you know how they taste! I love the convenience of purchased mixes and I am optimistic that the other mixes will by just as fantastic as those I have already tried. Happy Gluten Free eating! This is an independent product review. I am not affiliated with or compensated by Bloomfield Farms. I just love their products!